EPA’s rationale for withdrawing the Clean Water Rule is dead wrong. Here’s why. We live in a nation of laws and rules for a reason. They make democracy possible. That’s why Environmental Defense Fund last week submitted public comments on the Clean Water Rule, which the Trump Administration is proposing to rescind. The Clean Water Rule, also known as Waters of the United States (WOTUS), was established in 2015 by the U.S. Environmental Protection Agency and Army Corps of Engineers to clarify which bodies of water are protected by the federal Clean Water Act of 1972. Soon after it was enacted, stakeholder groups sued – practically standard practice anytime a significant policy is put forward. We recognize the different opinions around WOTUS, but aversion to controversy is not basis for setting policy. This is exactly the kind of arbitrary action by a government agency that Congress feared and why, in 1946, it passed the Administrative Procedure Act. The APA sets out clear standards that prevent government agencies from undermining the core principles of democracy. It was born in a combative political environment not unlike ours today. 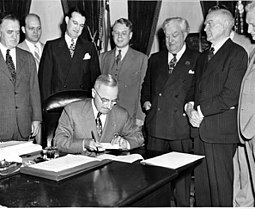 In the 1930s, President Franklin Delano Roosevelt began creating new federal agencies to help guide the country through the Great Depression – part of his New Deal package to revive the economy. But many members of Congress grew wary of the powers these new agencies possessed and sought to hold them accountable. 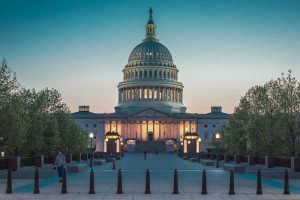 After a more than a decade of study, wrangling and public input, Congress passed the APA to ensure that agencies would only act after providing the public with fair notice and a meaningful opportunity to provide input. The APA also requires that agencies engage in reasoned decision-making – in other words, that they weigh all relevant factors and thoroughly explain their decisions. If any agency action could be withdrawn solely due to pending or potential litigation and “regulatory uncertainty” – a catch phrase of this administration – our nation’s regulatory structures would be in constant flux, lack rigor and lose factual and scientific basis. The EPA’s proposed rescission of the Clean Water Rule is not merely a codification of the “status quo,” or “reopening” of the rule as the agency argues, but is a substantive change in EPA’s interpretation of the law and a major change in policy – which triggers all of the requirements of the APA. 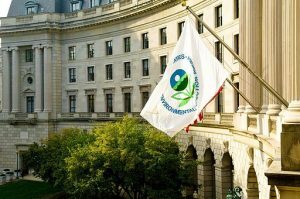 For example, if the APA allowed an agency to yank a decision simply because of litigation or regulatory uncertainty, EPA could withdraw pesticide approvals as soon as anyone with a lawyer challenged the approval with litigation. EPA’s rationale for repealing the Clean Water Rule has sweeping implications for administrative law generally. It undermines basic democratic principles, and it sets a dangerous precedent for rulemaking processes. EDF supports science-based policy. While we may not agree with every agency action, all Americans should agree that rules must be established, revised, or even rescinded through the transparent and fair process Congress wisely established more than 70 years ago. With this WOTUS withdrawal proposal, EPA is doing the opposite. This entry was posted in western water and tagged Administrative Procedure Act, clean water rule, EPA, water policy, WOTUS. Bookmark the permalink. Both comments and trackbacks are currently closed.